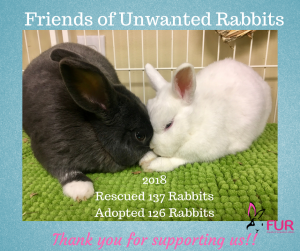 In 2018 Friends of Unwanted Rabbits rescued 137 rabbits adopted 126 rabbits to forever loving indoor homes!! We couldn’t do it without your help. Thank you for supporting us!